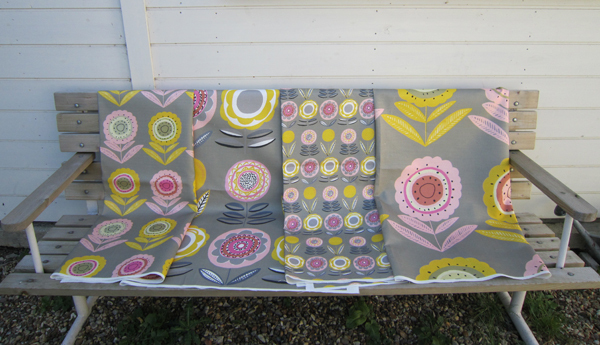 A selection of the more sophisticated fabrics in the Cottage Garden Collection. 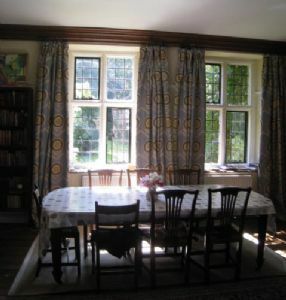 Furnishing fabrics suitable for curtains and blinds. There are 2 base fabrics: Bleached Linen (88% or 100% Linen & Oatmeal which is 55% Linen and 45% Cotton. 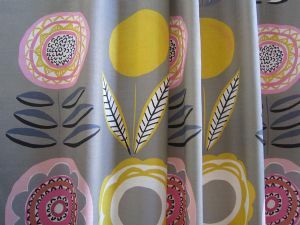 Specific drops can be printed for big curtains. 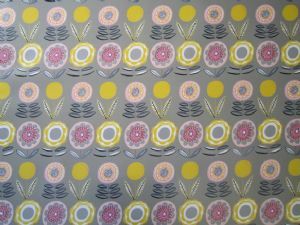 Fabrics suitable for cushions and upholstery can be printed and are £70.00 per metre. 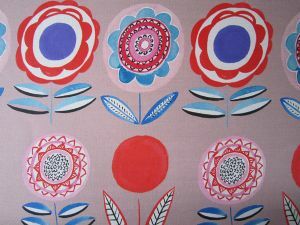 A lovely gentle furnishing fabric for curtains blinds and cushions. Seems to go with everything. 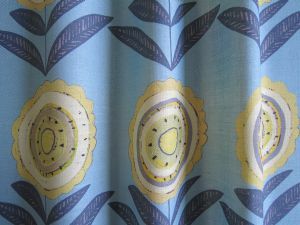 Bluey/Grey Linen with Pale Yellow Flowers for Curtains and Blinds Sophisticated print in blue, cream yellow and bluey grey. 6 Flowers across the width. 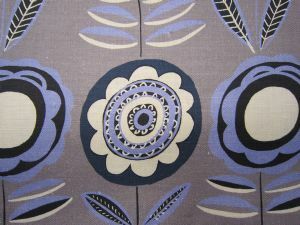 Blue and black and white print on grey linen. 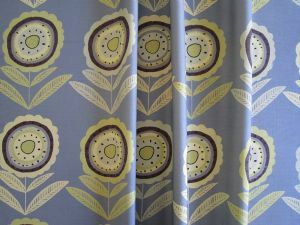 Calm fabric with six flowers across the width. Flowers 26cms high.